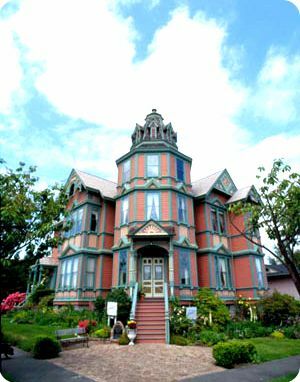 Known as the Ann Starrett House, this beautiful 1889 mansion was built by wealthy residential builder George E. Starrett and named after his beloved wife, Ann. 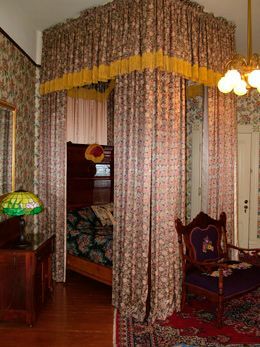 The mansion housed the Starrett family for generations before finally being turned into a boutique bed and breakfast in 1986 - almost a century after it was built! 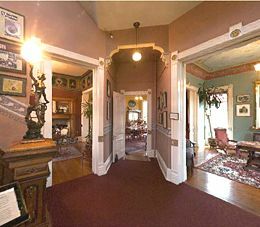 The home is built in the Queen Ann style, and when seen from the outside its most striking feature is the 70-foot tall tower that rises four stories up from the front door. Anyone who enters the home is greeted by this gracious formal entry, which boasts lovely high ceilings and opens into three common rooms designed for entertaining guests. 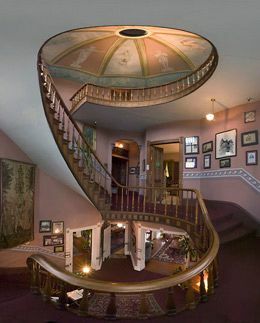 This astonishing three-tiered spiral staircase also rises from the foyer, leading to the top of the 70-foot tower. Legend has it that George Starrett once met a man on the street who had intriguing ideas about architecture, and the man agreed to design a staircase for the Starrett home. He did the work in secret, and nobody has been able to figure out how it was done. 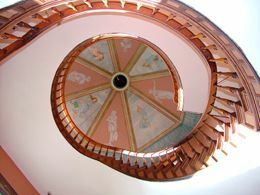 The Smithsonian Institution even offered to dismantle the staircase to unravel the mystery! This beautiful solar calendar is found on the roof of the domed tower, and the eight sections are meant to represent the four seasons and the four virtues. The angelic frescoes were hand painted by New York artist George Chapman and were created in the likeness of Ann Starrett. 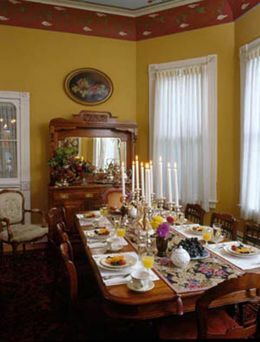 The elegant formal dining room has been restored to its original glory, and the antique furniture is complemented by beautiful flowers and traditional place settings. Tall white candles turn any meal into a historic Victorian dining experience. 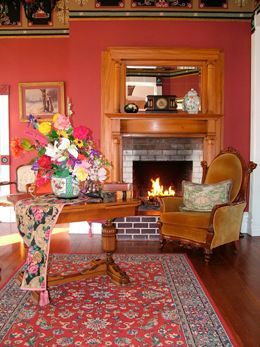 The cozy tastefully decorated sitting room is decorated with a gorgeous floral rug that matches the walls, and it features a beautiful stone fireplace that keeps the room nice and warm. The parlor makes for another lovely place to spend a relaxing evening. 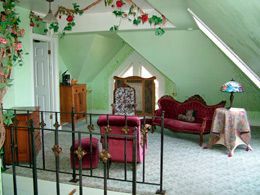 Beautiful wallpaper draws the eye upwards, and an elegant chandelier gives the room a hint of Victorian sophistication. A romantic canopy bed is the centerpiece of the master bedroom, and it looks like something straight out of a movie. A gorgeous lamp, bedside table, and chair complete the look. Tucked away under the gables on the third floor is a private two bedroom suite, which features this charming sitting room complete with more pieces of antique furniture. Hanging vines along the wall infuse the room with a dash of whimsy. 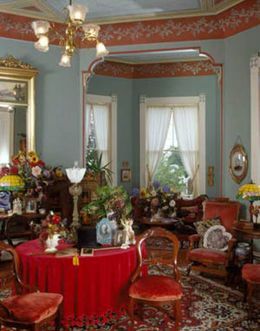 You can take a virtual in-depth tour of the enchanting Ann Starrett House in the video below. 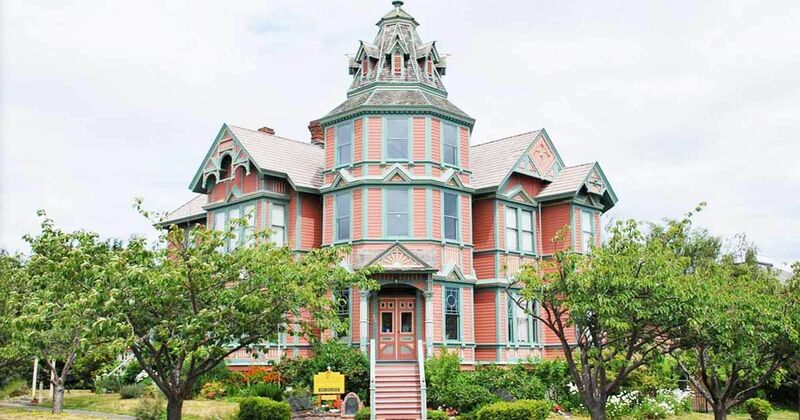 Would you like to spend the night in this beautifully restored Victorian mansion? Let us know in the comments!